Chain-drive motors are the most common among residential and commercial uses and is your least expensive option. 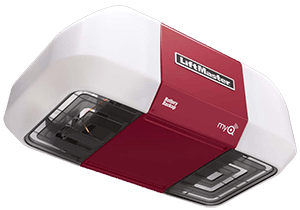 While long-lasting, these systems can be noisy and require significant maintenance. Belt-drive motors utilize rubber belts instead of a chains. Belt-drives are slightly more expensive than chain-drives but well worth it. Belt drives operate practically in stealth mode they’re so quite. Screw-drive motors utilize a threaded rod that revolves to raise the door. While screw drives operate more slowly, they’re the most appropriate choice for heavier commercial and industrial doors.  We recommend that you give us a call today to speak to one of our licensed garage door experts and see what we can offer you in your search for a new opener. One important step in keeping your door operating at peak efficiency is to read the included literature about your existing system. Read the owner’s manual and any documents pertaining to safety equipment. You can probably find it online if you no longer possess the hard copy. They will usually offer recommendations for maintaining your specific system. Visually inspect all mounting brackets, cables, fasteners, and tracks. Look for loose, bent, broken, or worn parts. Repair or replace as needed. Examine the connection between the opener and its power supply. If the opener has a battery backup, check and replace it as necessary. Check and replace batteries in the opener remote, if necessary. You should test and adjust the force settings (by obstructing the door’s patch) and the auto-reversing mechanism (by obstructing the laser’s path). Make sure your sensors are aligned and cleaned. Lubricate all moving parts with a spray lubricant. Check and replace the manual release handles which allow you to manually open the door when the opener is malfunctioning. Again, refer to your owner’s manual for instructions in how to perform this task safely.